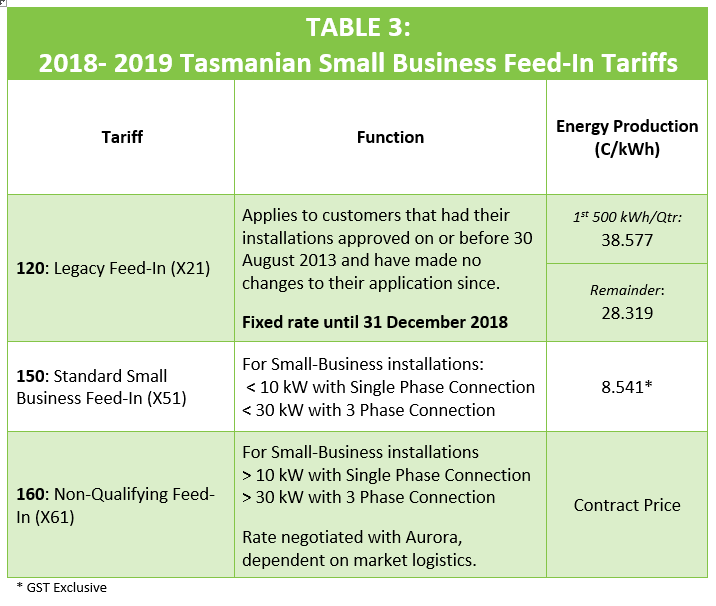 Aurora define a ‘Small Business’ as a Business not on an electricity contract, and that uses less than $30,000 of electricity per site per year. Alternatively, 1st Energy define a ‘Small Business’ as any entity with an ABN, whose annual energy consumption is <100MW per year. As a matter of interest, both cost of supply and cost of energy consumption has increased 2% from the 2017-2018 financial year. As is evident, power is not cheap. To reduce the financial and environmental cost of electricity, an increasing number of Businesses are offsetting power consumption by installing solar photo-voltaic systems. This enables the Business to generate power for self-consumption, and to export surplus power back to the grid. 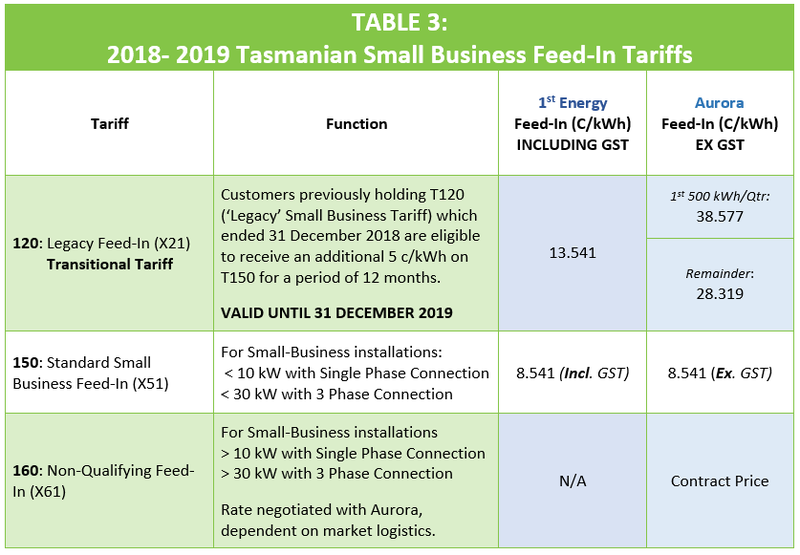 The standard feed-in tariff for Small Business has decreased by more than 4% since the 2017-2018 financial year. 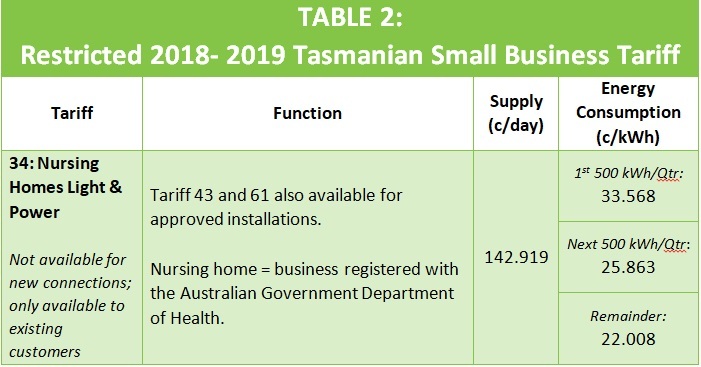 A sub-class under ‘Small Business’ in Tasmania is Agribusiness. Agribusiness refers to land used for farm operations, and must be used for approved agricultural purposes as classified by Australian and New Zealand Standard Industrial Classification (ANZSIC) Division A, Subdivision 01: Agriculture. 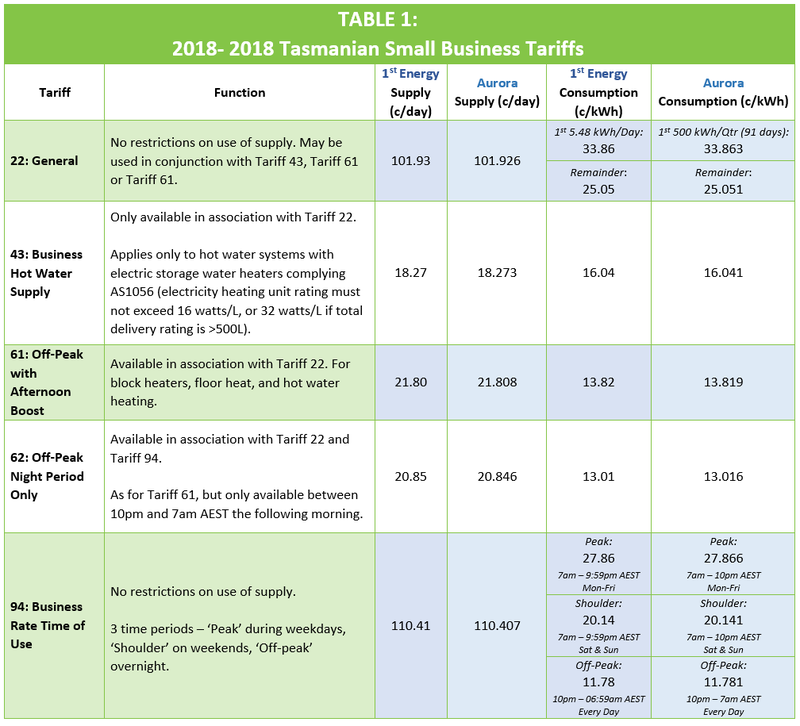 Table 4 summarises the Tariffs most relevant for Agribusiness. It is worth noting that if connection is required for only relatively short, specific periods of the year (e.g. 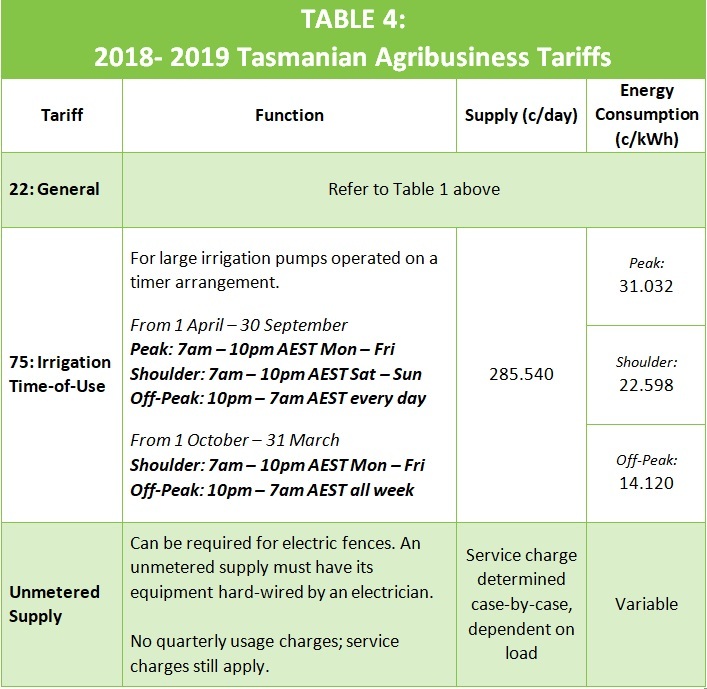 to power chillers during fruit harvest), it may be more cost effective to connect to Tariff 94: Time of Use for the duration of that time, and then disconnect at the end of that period to avoid the higher supply fees.